The Recipe: Just in time for Cinco de Mayo (or, y'know, a weeknight supper allllll summer long), a "Mexican" chicken salad, just cooked chicken tossed in a lime and yogurt vinaigrette with black beans, jicama, corn and tomatoes. It's easy, it's tasty and the jicama gives the salad great "crunch". If you're new to jicama, you'll want to check out Vegetables 101: What Is Jicama? You'll be glad you did! Low Carb. High Protein. Weight Watchers Friendly. Weeknight Friendly. Naturally Gluten Free. Inexpensive. Quick to the Table. What're you waiting for?! My favorite just-turned-twelve-year old has a cautious palette, he just doesn’t like surprises. But during a Florida beach vacation last year, he worked up the gumption to try alligator. “It tastes like chicken,” he reported later, obviously surprised that something so exotic could taste so familiar. That’s the funny thing about chicken, right? 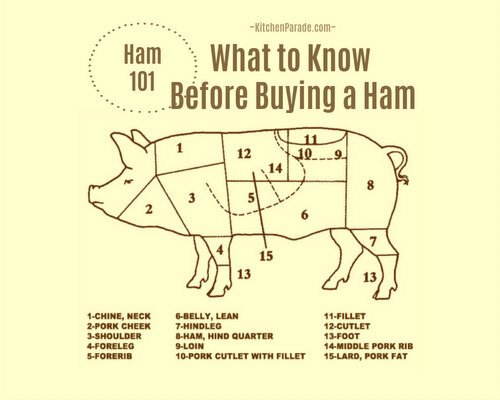 Other meats “do” often remind us of chicken. But chicken is itself a culinary chameleon, it easily adapts to different flavors. We love this Mexican Chicken Salad but we also love Asian Chicken Salad and Chicken Greek Salad with Simple Hummus. What’s next, I wonder?! LIME-YOGURT VINAIGRETTE Mix all ingredients in a small food processor or by hand with a whisk. Can be made ahead. CHICKEN SALAD Pull the skin off the chicken, then the meat off the bones. Cut into bite-size pieces and refrigerate until ready to mix. Combine the chicken, veggies and Lime-Yogurt vinaigrette. TO SERVE Line a large bowl with lettuce leaves, spoon salad into leaves. MAKE-AHEAD Can be made up to 8 hours before serving. MORE IDEAS Cut corn tortillas into strips or wedges and bake until crisp; break into pieces and sprinkle over top. Serve with warm tortillas or soft whole lettuce leaves on the side for “wraps”. Use the chicken mixture as the meat topping for Mexican Pizza (Oaxaca Tlayuda). ALANNA’s TIPS A whole teaspoon of salt might seem like it would be a “lot of salt” for the dressing. But it’s seasoning for an entire pound of chicken plus about five cups of vegetables. We don’t find it at all too much! A rotisserie chicken is easier to “pick” when it’s still warm, the skins come off more easily, the meat pulls off the bone less reluctantly. Put the skin and the bones right into a saucepan, you’ll want to make No-Big-Deal Homemade Chicken Stock. Throw the corn cobs into the pot too! If you’re making the salad ahead of time, consider de-seeding the tomato, otherwise the salad can get a little watery. Fresh summer tomatoes and fresh corn make this an especially summer-y chicken salad. During the off-season, use roma tomatoes and frozen corn. A rotisserie chicken is convenient but pricey compared to other cuts. In St. Louis, you can buy a rotisserie chicken for about $7, cheaper than fast food, for sure, but still, about $5.60 a pound if it yields 1-1/4 pounds of meat. So skip the rotisserie chicken if you like, this is my favorite way to bake chicken for eating later, Vince’s Baked Chicken. (Except – news flash! Costco and Sam's Club both sell rotisserie chickens for $5, some times I can get as much as 3 pounds of meat off just one chicken!) Add avocado at the last minute so it doesn’t turn brown. NUTRITION INFORMATION Per Cup: 207 Calories; 5g Tot Fat; 1g Sat Fat; 55mg Cholesterol; 307mg Sodium; 16g Carb; 4g Fiber; 4g Sugar; 24g Protein. 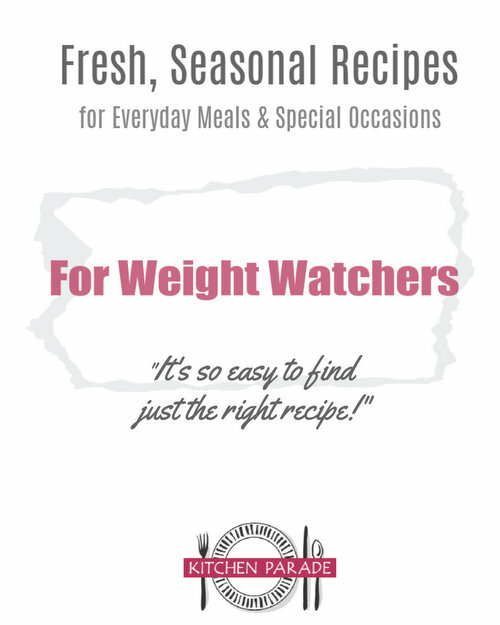 WEIGHT WATCHERS POINTS Old Points 4 & Points Plus 5 & SmartPoints 5 & Freestyle 1. CALORIE COUNTERS 100-calorie serving = 1/2 cup (12g protein). This recipe has been "Alanna-sized" with reductions in fat and calories. Adapted from Sauce Magazine, one of St. Louis' two fabulous food magazines. Celebrating Cinco de Mayo at Home? Recipe Ideas!